Near Fine book that has soft spine ends with slight soiling to spine ends, two very small black spots to back panel, and slight soiling to edges of page block; in a Fair to Good jacket that has edge and corner wear, chipping and small closed tears, light rubbing, and color loss to spine ends, edges and corners, price of $5.95 present front flap. A three day outing down a wild river goes terribly and tragically awry. 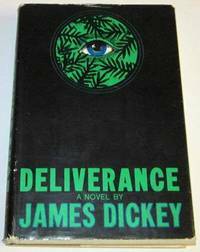 This was poet Dickey's first novel. There was a well-known movie by John Boorman that starred Burt Reynolds, Jon Voight, and Ned Beatty. The film won numerous awards. Noted on jacket: The Recollections of Jack Crabb. 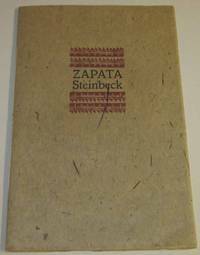 Near Fine, apparently unread book that has slight wear bottom corners, hint of slant, touch of soiling to edges of page block, and slightly dulled green lettering on spine; in a Very Good jacket that has slight edge and corner wear with bit of color lossat folds and top of spine. Mild rubbing and light soiling to back panel. Jacket slightly displaced toward rear panel with no fading to sun-sensitive spine. Widely acclaimed, 1970 film by Author Penn starred Dustin Hoffman, Faye Dunaway, and Chief Dan George (Academy Award nomination). 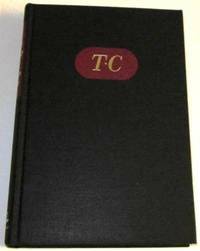 One of the publisher's limited first editions, a Fine minus book flawed by a generic bookplate to the front paste-down, in a Fine, burgundy, clamshell box (this, out-of-series copy was not in a slipcase). Signed by Capote on limitation page below the out-of-series notation. Capote made the unusual, ground-breaking step of including himself (as well as his close friend Harper Lee) as part of his true crime narrative regarding the 1959 cold-blooded murder of a well-to-do farm family in southwest Kansas. Harper Lee helped Capote, who was like a fish-out-of-water in Kansas, develop interactions with the locals in support of his research. Although Capote claimed the narrative to be absolutely true, there has been considerable controversy over the years regarding some aspects that appear to be fictionalized. Two movies have been produced that are related to Capote's book. The 1967 film of the same title told the story of the murders, ending with the execution of the two murders – the filmed starred Robert Blake and Scott Wilson. The 2005 movie Capote starred Philip Seymour Hoffman and tells the story of the writing of the book. Hoffman won the Academy Award for Best Actor for his portrayal of Capote. 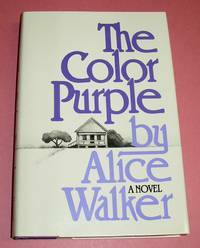 First Avon printing, trade paperback, Very Good to Near Fine book that has mild rubbing and edge wear, very slight slant, age yellowing to page block, and previous owners name and slight fold to top of title page. 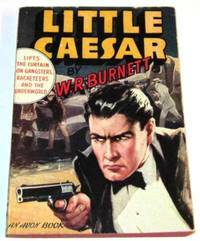 Burnett's novel about hoodlums and organized crime. There was a 1931 movie starring Edward G. Robinson and Douglas Fairbanks, Jr.
Near Fine book with bit of softness to spine ends, touch of page edge soiling, and very small wrinkle to bottom edge p. 17; in a Near Fine jacket with touch of edge and corner wear but flawed mainly by sun fade to spine (a common flaw in this sun-sensitive jacket). This copy has been signed by Nichols to the front end-page. 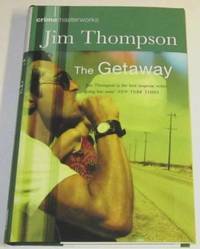 The first book of his New Mexico Trilogy. Filmed by Director Robert Redford in Truches, New Mexico and released in 1988 to mixed reviews. Among the cast were Melanie Griffith, John Heard, and Christopher Walken. Fine minus, unread book with very slight crimping to spine ends; in a Fine dust jacket. McMurty discusses the more academic and literary aspects of his life – from graduate school to writing reviews and scripts, as well as his many novels. He was a Wallace Stegner fellow at same time as was Ken Kesey in 1960. This copy is a special limited edition (number 84 of 100) produced by McMurtry and Three Dog Books of Archer City, Texas. 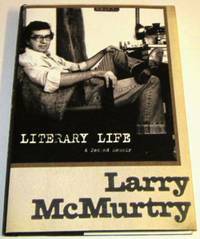 The limitation is stamped on the half-title page of Literary Life and is signed by McMurtry. Very Good book with only light page browning, slight wear to corners and bottom edges of boards, mild pushing to spine ends, with principal problem being the often-present, black remainder mark to bottom edges at spine; in a Very Good to Near Fine dust jacket that has slight age toning along edges of lighter portions of jacket, small dog-ear crease bottom corner back flap and a very slight vertical crease front flap, mild pushing at spine ends and light rubbing to panels. 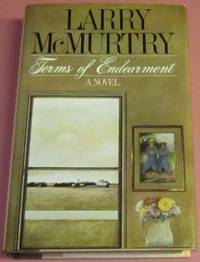 This copy has been signed by McMurtry to the front end-page. His sixthth novel was made into a popular 1983 movie with Shirley MacLaine, Jack Nicholson, Debra Winger, and several other well-known stars. The movie was nominated for 11 and won 5 Academy Awards; including Best Picture, Best Actress for MacLaine, and Best Supporting Actor for Nicholson. A BOOK CLUB, early edition. Near Fine book that has just a bit of edge and corner wear, with touch of slant bottom of spine; in a Very Good to Near Fine dust jacket that has light soiling along the folds, bit of light edger and corner wear, rubbing to both panels. This copy signed by McMurtry on the first front end page, in a slanted nearly vertical early signature that is almost readable. 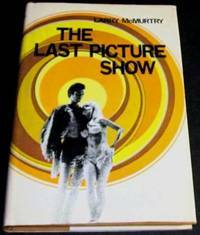 Basis for the 1971 film, with the screenplay by McMurtry and Director Peter Bogdanovich, starring Cybil Shepherd, Ben Johnson (Academy Award), and Cloris Leachman (Academy Award). The B/W film was shot in Archer City, Texas, McMurtry's hometown and where his bookstore is now located. 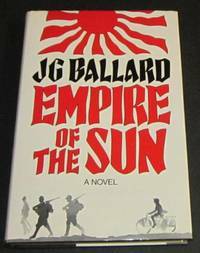 Near Fine book that is slightly soft top of spine, with touch of age toning to page edges, and title/author label on spine sun toned; in a Fair to Good dust jacket that is clipped at all corners. Jacket is soiled, faded and sun toned, with numerous chips and tears to edges and corners, color loss, and with a number of old tape repairs to inside of jacket. This copy has been signed by Wolff to the third front end page, and dated April 1941. 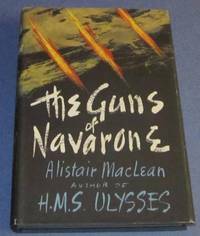 Book was winner of the 1940 Avery Hopwood Award. There was a 1946 movie of the same title that starred George Raft, Ava Gardner, and Victor McLaglen. 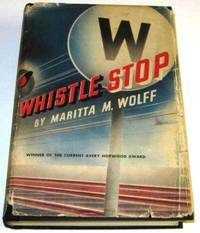 This novel is one of several featured in Robin Smiley's article, "Sweeping Up the Neglected Noirs", that is in the May/June 2018 issue of Firsts – The Book Collector's Magazine". The article includes a more detailed review of both the book and the film. 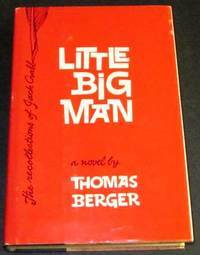 First edition 5th printing, Near Fine book with a couple of tiny chips at corners, slightly bowed boards due to nature of this type book, no dust jacket as issued. Paper engineering by Ib Penick. All pop-ups and push-pull tabs completely intact and working. 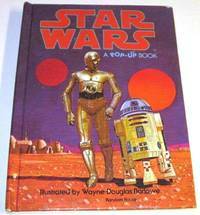 An unusual book issued after the original Star Wars was released in 1977. Determining printing a bit tricky, since all printings have full number line with pointer indicating the printing. A Fine prospectus prepared for and sent to the Press' regular customers, in wraps about 8 by 10 inches. The written prospectus is bound in burgundy wraps with a cover printed on handmade paper with silk stitched binding. Text, on heavy, rough-cut stock, includes illustrations by Karin Wikstrom , and is four pages long. Laid in are: a two page letter dated October 18, 1991 and signed by the Press' owners, Carolyn and James Robertson; an order form with return envelope; and a color photograph of the soon to be released book. Very unusual item. 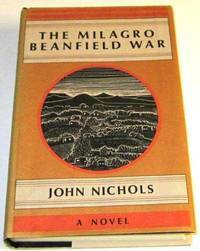 First UK edition, Near Fine book with light crimp bottom of spine, mild soiling to page edges, hint of age toning to pages; in a price-clipped Near Fine jacket that has light edge and corner wear, with tiny closed tears at spine ends, and touch of soiling to back panel. Maclean's second novel. Movie released in 1961 with Gregory Peck, David Niven, Anthony Quin and many other well-known players. Movie was nominated for six Academy Awards, winning one, as well as two Golden Globes. A very nice copy of Maclean's most popular book. Very Good to Near Fine book with the ubiquitous page browning, several gathering have aged more than the rest, soft at spine ends, very tiny bump bottom edge back board, touch of age toning along top and bottom edges of boards; in a Very Good jacket that has age toning along edges of lighter portions of jacket, light edge and corner wear with a couple of tiny chips top of spine, small dog-ear crease bottom corner front flap, light rubbing both panels and several light overwrite impressions. This copy has no remainder mark and is a nice example of this book, which has generally aged badly over the years. 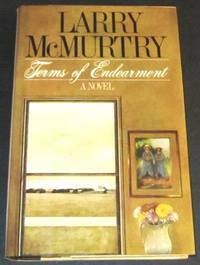 McMurtry's sixth novel was made into a popular 1983 movie with Shirley MacLaine, Jack Nicholson, Debra Winger, and several other well-known stars. The movie was nominated for 11 and won 5 Academy Awards; including Best Picture, Best Actress for Shirley MacLaine, and Best Supporting Actor for Jack Nicholson.